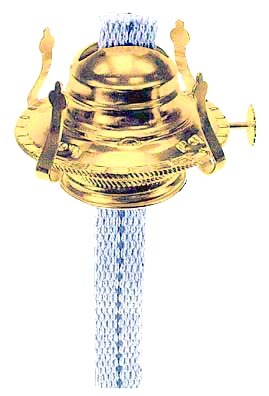 Oil Lamp Burner is standard size to fit antique, reproduction and new oil lamps. 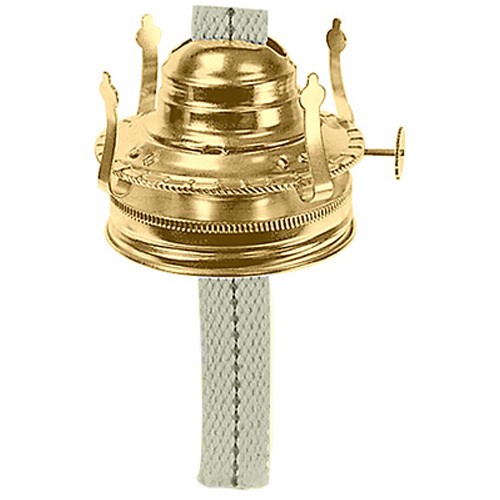 Steel burner has bright brass finish and includes 5-3/4"L x 3/4"W braided cotton wick. Fully Functioning with Wheel That Raises and Lowers Wick. 5-3/4"L x 3/4"W Braided Cotton Wick. Hold Glass Chimney with 3" Diameter Base. To order highest quality clear LAMP OIL that�s smokeless and odorless click on Selection below. 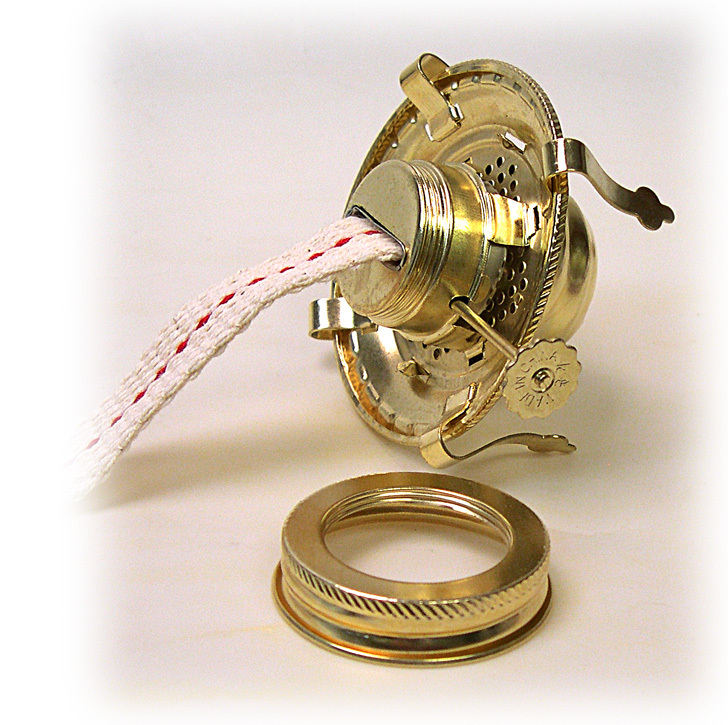 Burner can be easily screwed out of mounting collar for adding oil to your lamp. Burner may also be used without mounting collar: It has male threads and fits threaded lamp bodies with 1-5/8" outside diameter top. A) Oil Lamp Burner with 1-3/4" I.D. Mounting Collar. Can be screwed or glued onto your lamp base. Do Not Leave An Open Flame Unattended.